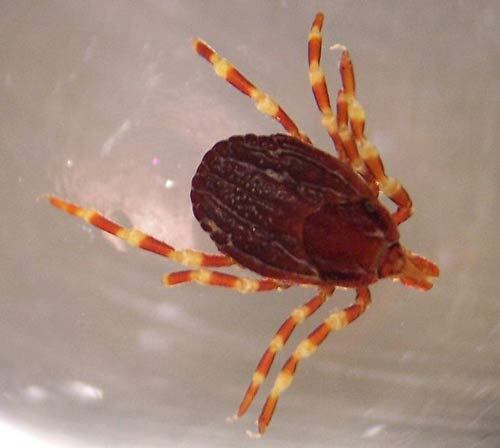 ﻿ Iranian media report that 7 people in the country have died after contracting Crimean-Congo haemorrhagic fever (CCHF). Most victims of the viral disease have been identified in the eastern provinces, but reports indicate that the virus has been detected in 27 of Iran's 31 provinces. have so far confirmed that 2 deaths can be attributed to this disease. 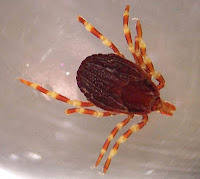 Crimean-Congo haemorrhagic fever (CCHF) is a severe viral disease communicated to humans through animals, especially ticks. The 1st signs are flu-like symptoms such as fever, aching muscles, dizziness, neck pain and stiffness, headaches, and soreness of eyes. It may also result in mood swings, depression, confusion, and aggression. Later symptoms are severe bleeding through the skin from a rash or internal bleeding that may lead to death. Iranian health officials say last year  there were 87 cases of CCHF infection, 15 of which were fatal, and in the previous year, 154 cases were reported and 26 deaths. In recent weeks, after the presence of CCHF was confirmed in Iran's eastern provinces, some cases were also reported in Tehran, with 2 of them turning critical. Despite the reports, health officials stressed that Tehran was not facing an outbreak of CCHF, and the cases reported in the capital had been transferred from other cities for treatment. Infected livestock entering the country through eastern borders is said to be the main cause of the CCHF outbreak, and spraying them has been suggested as an effective way of halting the spread. Suggested ways to stop the contagion include using gloves when handling meat and keeping meat in a freezer for 48 hours before consumption. CCHF has no cure, but treatment of the symptoms usually leads to the patient's recovery. The World Health Organization puts the disease's mortality rate at 30 per cent.